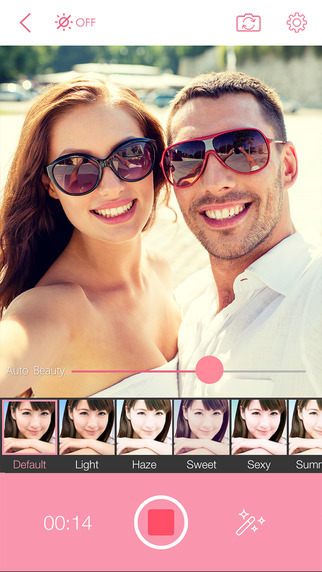 InstaBeauty Photo editor is a mobile apk that enables you to tweak to your photos and videos to make them look more attractive and pleasant. The app is specifically suited for selfie-taking lovers who like to post images and also for those who love posting videos on social networks like Facebook, Twitter and Instagram since it offers some top notch functionalities. The app enables you to make your skin look beautiful and perfect and makes your videos appear radiant at just a touch of a button. The features are easy and faster to learn and therefore every person should be able to use the InstaBeauty App effectively and efficiently, even the beginners. This is an inbuilt camera that comes with the InstaBeauty App that has some filters and presets on the camera. The camera allows you to choose how your skin and face would appear with just one touch of a button. Each of the presets has different levels for toning, smoothing and removing imperfections on skin for example pimples and dark spots. The beauty camera also features a real time filter that does the adjustment for you as you take the selfies. InstaBeauty apk contains over 200 amazingly designed styles that enable you to create classy looking collages like the ones used in magazines. You can choose from selfie, square, landscape and stripes orientation modes to enhance the looking of your photo. The beauty video is designed for lovers of videos and allows you to make the videos look beautiful. The InstaBeauty app allows you to take the videos and it makes the appropriate changes as you go on so that by the time you are finished the video looks flawless. 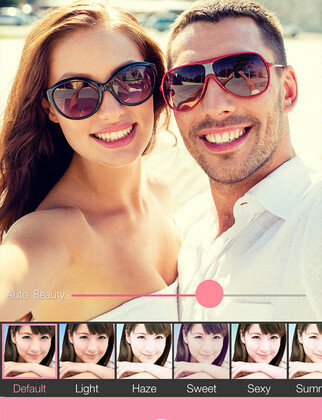 The quicksnap features allows you to take multiple photos using different poses. When done InstaBeauty app allows you to choose from a number of tweaked photos to find the one that fits you. InstaBeauty is therefore a mobile phone application that you can download to take care of all your video and photo editing needs and one that you can exploit to get the maximum results when it comes to making your your photos and videos mind blowing. Because InstaBeauty Photo Editor is very powerful to customizing any photo pictures with stylish color, frame, effects and background etc and any other tools. Uff atleast I found a desired blog. Thanks for sharing it. I use Insata photo edit tools. But sometimes it shows not supported. Can you help me to solve this problem? I am new user of Insata. Whatever, I really loved it. Thanks for sharing.